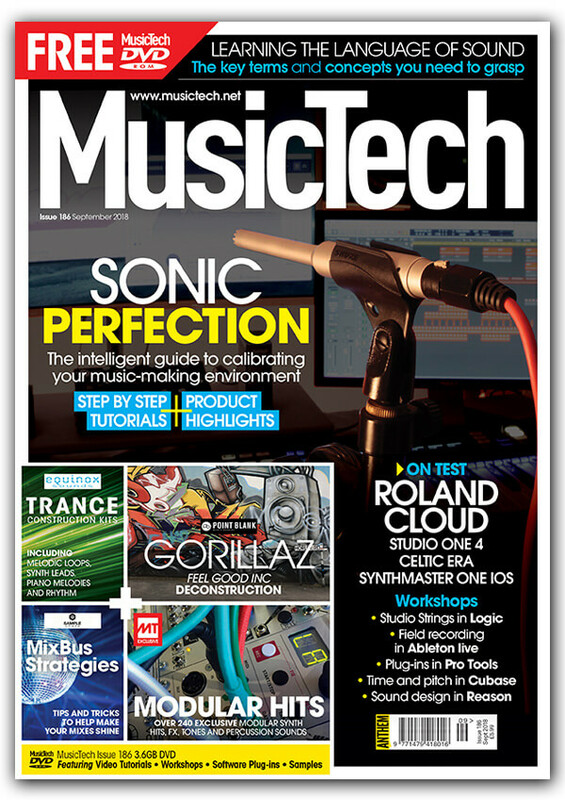 Sonic Perfection – The ultimate guide on how to rid ourselves of our studio’s imperfections. An Introduction to Musical Terms – Erin Barra on how to decipher some of music’s most complex technical terms. Interviews – We speak with Laura Escudé, the live performance specialist with Kanye West in her contacts list, Emmy-winning mixer Guus Hoevenaars plus an exclusive chat with UNO Synth designer, Erik Norlander. Tutorials – Mark Cousins picks up his bow for a walkthrough of Studio Strings in Logic Pro X, Martin Delaney is out and about for Field Recordings in Live, Adam Crute digs into the options of Time and Pitch in Cubase, Mike Hillier looks at how to use the Pro Series plug-ins in Pro Tools and Andy Jones goes through the sound design basics in Reason. 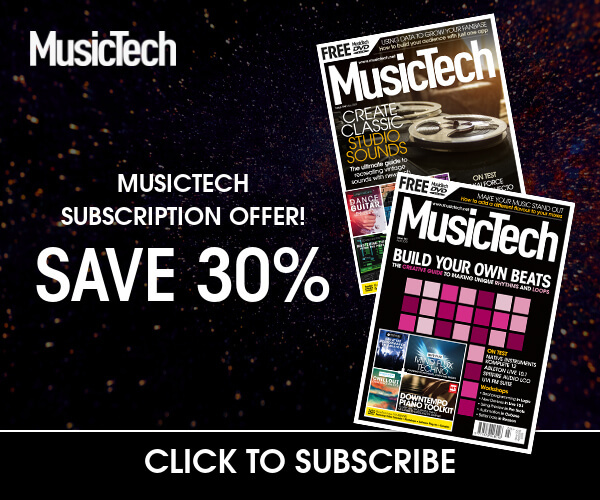 Reviews – We review Roland Cloud, DPA d:vice MMA-A, Loopcloud 2.0, Best Service Celtic Era, PreSonus Studio One 4, KV331 Audio SynthMaster One iOS, Nuemann U67, Elektron Analog Four and many more. DVD – 3.6GB of videos, workshops, plug-ins and samples including Emotional Trance Construction Kits, Gorillaz’s ‘Feel Good Inc.’ track deconstruction, MixBus Strategies and Modular Hits.